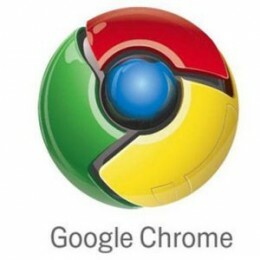 Google Chrome is one of the best and fast internet browser. It is released by Google. Google Chrome is not too fast but yes it opens the website a fit faster than other browsers. Proxy settings on Chrome totally depends upon the proxy settings of the Microsoft internet Explorer. If you change the proxy settings in internet explorer then the proxy settings of the chrome automatically changes. So either change the internet explorer proxy settings or do it right from the chrome. Proxy setting for the Google chrome is very easy. Just find out a good and fast proxy server so that your browsing experience should be good. You can set different proxy servers for different protocols. Different protocols here means like Secure, SSL, CGI, Gopher, Https and FTP. You can set unique proxy server for each one. However I recommend to use only one proxy server for every protocol. By this way your browsing experience will be good. 1. Click on Customize and Control Google Chrome button. Its on the upper corner of the right hand just after the address bar. 2. Click on it and go to options. 3. Now Go to Under the Hood. 4. Now Click on Change Proxy Settings. 5. Now Go to connections and then to LAN settings. 6. Now Click on Use a Proxy Server for LAN. 7. Type your Proxy server address and the port no. 8. Now if you want to use different proxy servers then click on advanced settings and enter proxy servers for each one. This is it. Click on apply and ok. Now you will surf the web through the proxy servers address. If it's not too fast then try another one. Infact you should always look for good and fast responsive proxy server so that you don't have to wait for websites to take time in loading. You can also use proxy softwares which are very small in sizes but they do a hell lot of work. You can use them in your schools, offices and other places as some of them are portable. I hope this will surely help you out in setting the proxy servers in Google Chrome. Enjoy..